The first day of spring is a great reason to visit wineries, isn’t it? I’m sure there is some sort of wine-themed celebration linked to it; I need to Google that. On to the wineries! 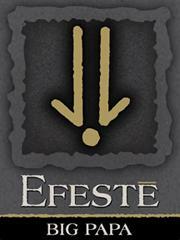 Efeste – New releases of Sav Blanc, Riesling, Final Final and Big Papa Cab. All were great, really. The Sav Blanc was nice and dry and the Riesling was really well balanced and fooled dad and I both as far as how much residual sugar was in it. I bought a couple bottles – this will be a great summer-sippin’ wine. The Final Final was great and didn’t seem to need much aging. The Big Papa was indeed big, in both fruit and tannins. I would lay it down for a bit to mellow some of the tannins, but not too long as I wouldn’t want to lose that delicious fruit! 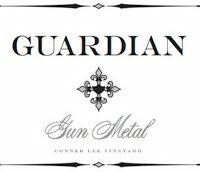 Guardian – Another release party and another great line up! The Angel (white blend) was a good as always. This is one of dad’s favorites. The Gun Metal (Cab dominant blend) was as great as ever too. No surprise, but his latest Syrah is also a hit. The surprise was the new one. The new kid on the block was The Wanted. It’s a Cab/Cab Franc blend and it is fantastic! Not all that surprising I guess – those are my two favorite grapes and Jerry is one of my favorite winemakers. It would be a surprise if I hadn’t flipped over it. Gard – There are so many wines to choose from here that you really have to go in with a plan or you’ll end up having to crawl out of there! We decided we wanted to taste a few whites and then I went for the Cabs. There is a wine and a price range for everyone here. But really – don’t try to taste them all unless you don’t have any other stops planned. Robert Ramsay – What a great little tasting room this is shaping up to be! I’ve only been in once before and it was right after they moved in last year; they only had one wine available at the time – their incredible 2005 Syrah. They still have a tiny bit left…run, do not walk, to get some! 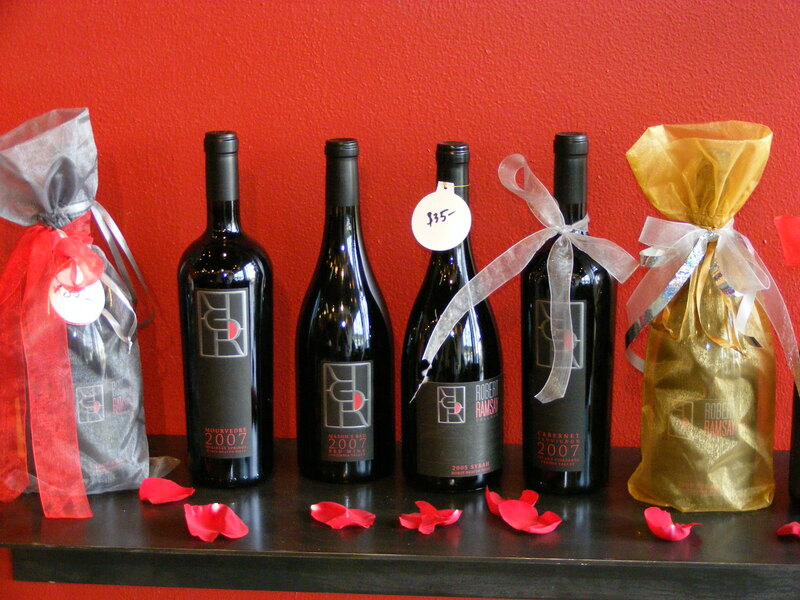 They also have a nice line up of other reds – 07 Mason’s Red (a great Syrah/Mourvedre blend), 07 Mourvedre, 07 Cab (loved this one!) and a 06 Syrah. 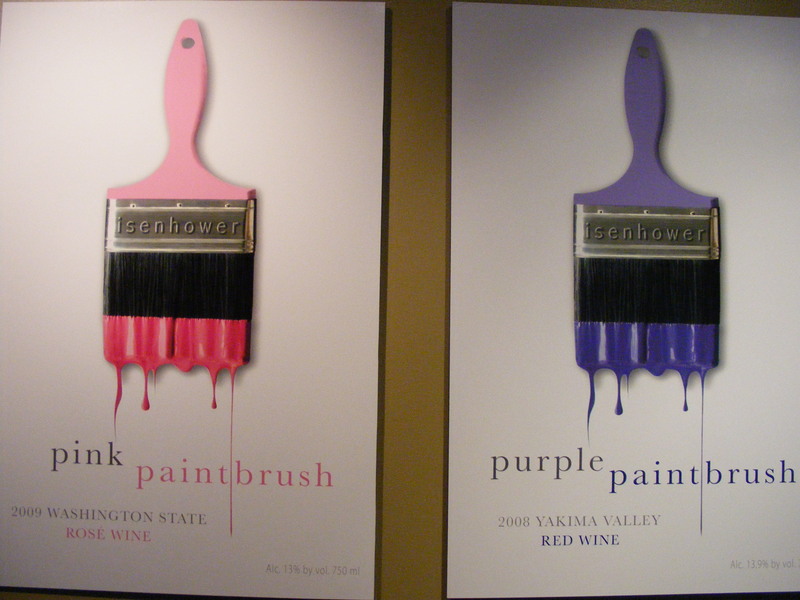 The tasting room renovations are amazing and this is certainly a winery to watch! Cuillin Hills – Okay, so it’s always a party when we go here; it’s hard not to have fun in this tasting room…the people, the wine – it’s all great. There were a couple new wines that were worthy of a party too – my favorite being the new Cab Franc. The new Rif Raf is great too, but the Cab Franc ‘did it’ for me. Hestia – It hasn’t been that long since we’d stopped in to taste at Hestia and we almost didn’t stop this time but we always like their wines so we decided to make a quick stop. I am so glad that we did! They have released a new blend that is fantastic! The 2007 Meritage (Mostly Cab with a little Cab Franc and Petit Verdot) is delicious. I don’t know if they’ve done this wine in the past but it was my first introduction to it and I’m hooked! Their Cab and their Merlot are also very good, which is why you’ll usually find one (or both) in my racks at home. Now the Meritage is there keeping them company. Isenhower – Another great tasting room and more new wines for me to try! I loved their new Purple Paintbrush! I’ve been a fan of their wines for a while and am really glad they’ve opened up a tasting room in Woodinville. Caleano – this was such a trip! We were greeted by the winemaker, Bryan Countryman. To say he was enthusiastic is an understatement. His “tasting” was taking place in the same building as Elsom. He’s kind of located ‘around back’ from the Elsom tasting bar. 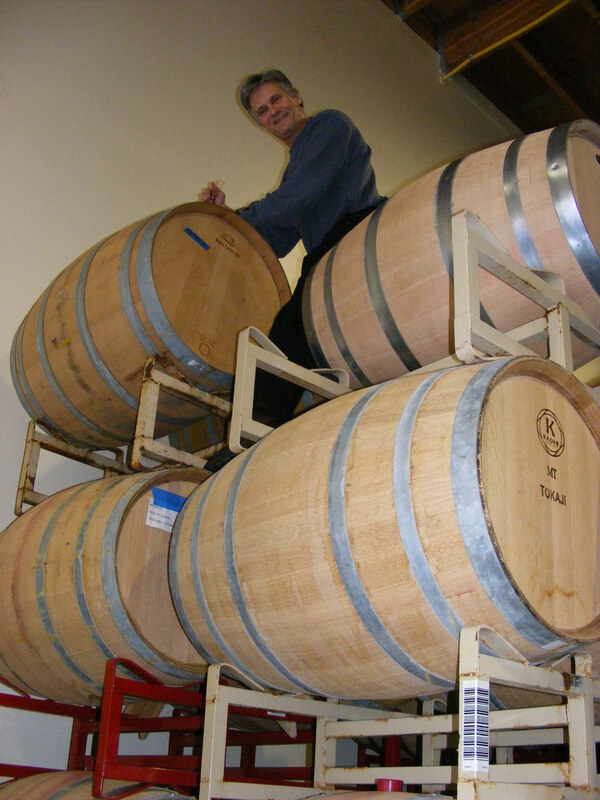 Oh, and he had nothing in bottles; we tasted our wines straight from the barrels. All the wines are tasting great at this point in their development however, the real stand out was the Pinot Noir. I can’t wait until that’s in the bottle and ready to go home with me. I believe his first release will be a Gewurztraminer and a Syrah. I look forward to watching this place grow as well. Dusted Valley – This tasting room is staffed with great people. As crowded as it gets in there (and it does get crowded) the people are always friendly and willing to talk to you about the wines and answer any and all questions. They weren’t pouring some of our favorite wines but had great suggestions for us to try in their place. My favorite is The Stained Tooth Syrah. I have purchased this one in the past and will continue. Oh, and did I mention that all their wines are done in screw cap? I so love this! Pomum – We’ve known and loved them for a while now. A new red blend is fantastic as is their Shya Red and their Tino, a Tempranillo blend. Laurelhurst – A great south end winery with excellent wines. Soos Creek – New one for us – great Ceil du Cheval blend. 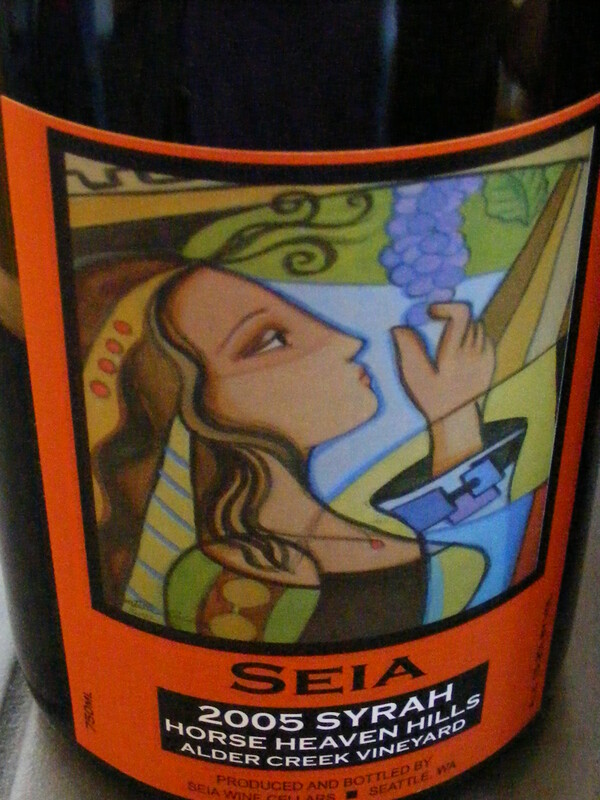 Seia – Another new one for us – great wines and gorgeous labels! What a great day and what a way to ring in spring!